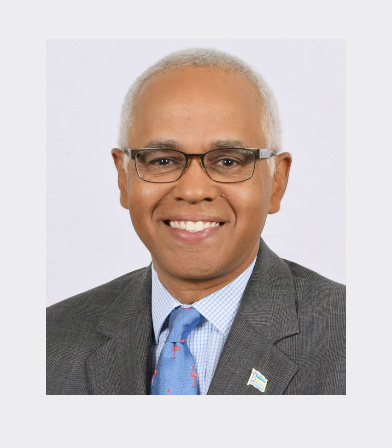 Mr. D’Aguilar was appointed as the Minister of Tourism and Aviation for the Commonwealth of The Bahamas on 15 May 2017. Mr. D’Aguilar also serves as the Member of Parliament for the Freetown constituency. He is also the current Chairman of the Caribbean Tourism Organization. Prior to his election to the Parliament of The Bahamas on 10 May 2017, Mr. D’Aguilar served as the President and Chief Executive Officer of Superwash Limited, Nassau’s largest chain of self service laundromats – a position he held from 1993…..some 24 years! Under his stewardship, Superwash grew to ten locations employing over 100 Bahamians and became a well recognized household name. Prior to joining Superwash, Mr. D’Aguilar qualified as a Certified Public Accountant and worked in public accounting (with KPMG) for five years. Mr. D’Aguilar attended Cornell University, ranked in the top 15 universities in the United States, where he graduated with a Bachelor of Science in Hotel Administration and a Masters in Business Administration. Chairman of the Board of Directors of AML Foods Limited (owner of Cost Rite, Solomon’s, Fresh Markets, Domino’s and Carl’s Jr.). Chairman of Insurance Company of the Bahamas. Director of J.S. Johnson Insurance Agents and Brokers. Honorary Consul for The Kingdom of The Netherlands. Mr. D’Aguilar represented the business community as a very vocal and active President of the Bahamas Chamber of Commerce from 2007 to 2009. Mr. D’Aguilar was born in Nassau, is 52 years old, and has been married to his wife, Saskia, for 26 years. They have two sons Alexander (22) and Oliver (18).